Removing the wax from your surfboard shouldn’t be hard. Chances are you apply the wax to surfboard that you rent from the surfboard rental kapaa and want to send it back as it used to be. If you don’t know how you will need to read this article until the finish. After applying the wax to your surfboard, chances are you use your board for some times. Over time, the wax might not be performing so well. You will notice it from the grotesque appearance. Sometimes, you will feel that your surfboard is more slippery than before. In some cases, the smell of your surfboard is not appealing at all. If you notice sort of signs, it is a great time to scrap all the waxes off and start applying a new one. Before doing anything else, make sure that you won’t remove your surfboard wax on the beach. The conventional wax products come with toxic ingredients which will not be an excellent idea for the environment. If you are using eco-friendly wax, it does not mean that the wax is the part of the beach environment. And don’t remove your wax over your rug or carpet since you won’t be able to clean it from their surface. Surf wax sticks, so, the best workstation for you is on the concrete or floor. To begin, you will want to make the wax softer first. You could either put it under the sun exposure or warm it up with your hair dryer. The thinner the wax is, the more comfortable you are stripping it off your board. Here is where your wax comb enters to help. You can get wax comb in any store, and it is cheap. Don’t use metal thing like brush or knife since it will ruin your board’s surface. The procedure is quite simple and easy to understand. If you attach the fins in your board, consider to get them off first before proceeding. Beneath your surfboard, slip the big towel or cloth to prevent the wax from dripping directly to the floor. It is important not to place the board straight on the ground. This can be damaging the glassing as well as the fins when you put the pressure on the surfboard. Scrap all the wax until it leaves no traces. Wax remover is also available in convenient stores. You might want to check on the best products out there. 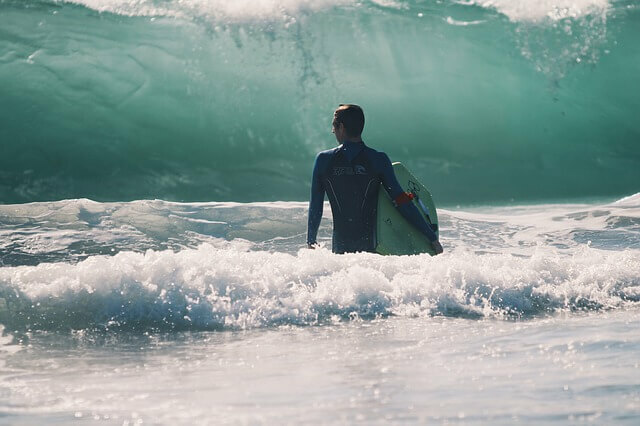 Next Next post: Fiberglass Surfboards vs. Epoxy Surfboards – Which One Is Better for You?